Description: The Positron is designed by knifemaker Brad Southard, and is a very sleek looking piece of kit. It is a production version of Brad’s Ion folder. The knife can only be opened via the flipper, and not the spydie hole. The blade rides on bearings. 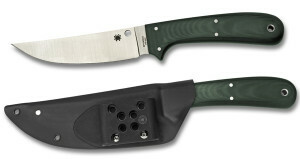 Description: A Compact gents folder with premium fully contoured handle. Designed by knifemaker Peter Carey. 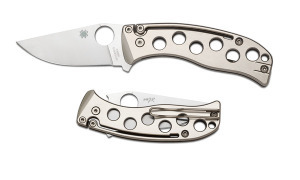 Description: The Spyderco Foundry was developed in collaboration with Carpenter Technology, the company that makes the CTS steels such as the CTS-XHP that is used in this knife. 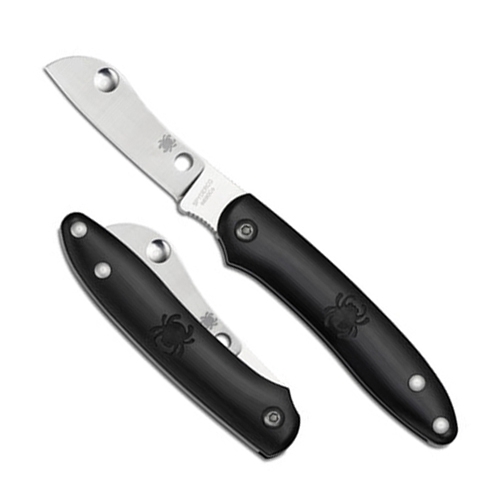 Carpenter’s logo is etched into the handles of this knife, which are also made from Carpenter stainless steel. 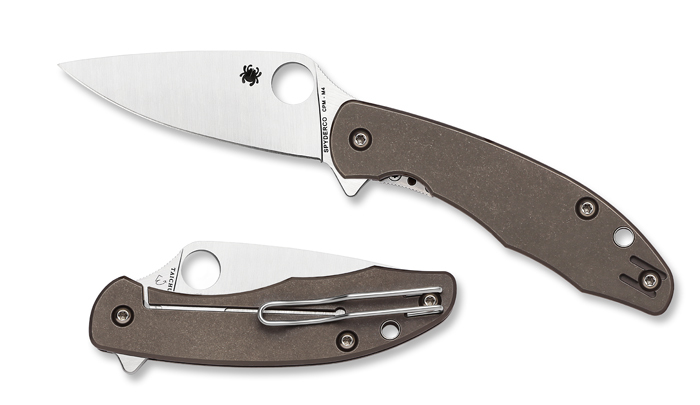 Description: Friction folders were the first type of folding knife created, and Spyderco has collaborated with Belgian knifemaker Filip De Leeuw to bring one of his most famous designs to the masses. 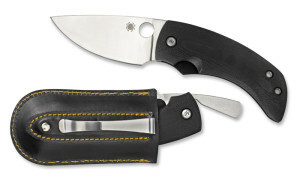 Friction folders do not lock, so they are not recommended to be carried in the pocket without a pouch, so the knife includes a leather pouch with a pocket clip on it. Description: A search and rescue (SAR) blade originally designed for the coast guard to have a sheepsfoot blade with an automatic opener and large firing button. 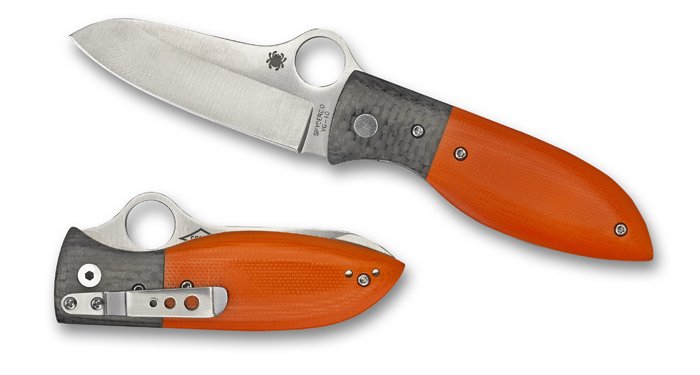 The Coast guard version is available only to the coast guard and is orange and designed without a safety. 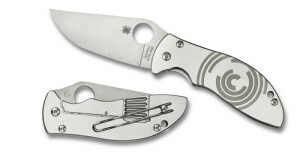 Description: The Spyderco Roadie was designed in response to the TSA allowing knives again on planes but with restrictions. 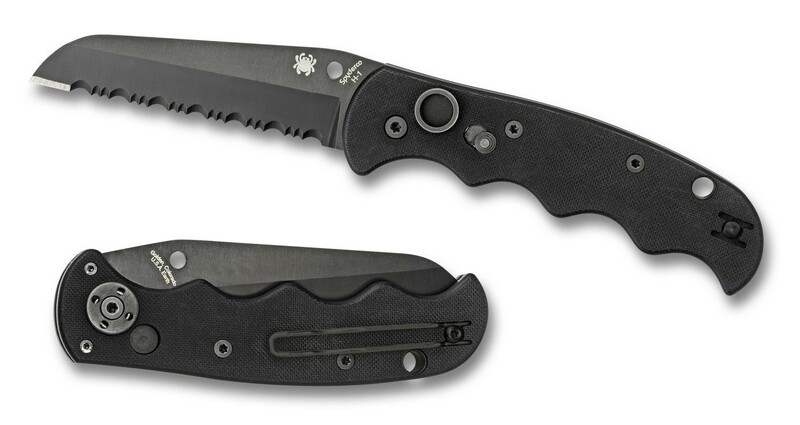 The plan was shot down, but the knife design remains! 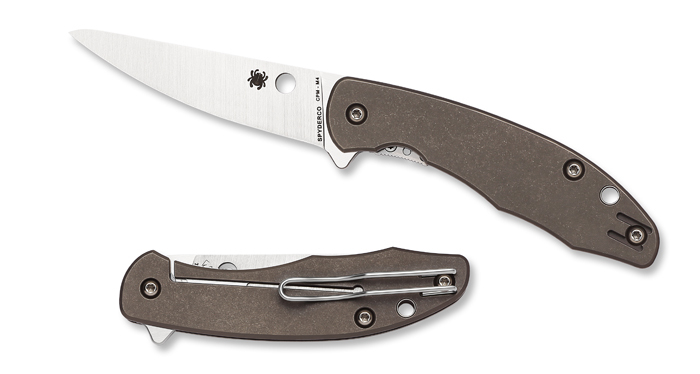 A non-locking, two-handed opener, the roadie is a neat-looking piece of kit. Description: Collaboration between British knifemaker Mike Read and Spyderco, the PITS is a production version of Mike’s custom unique slipjoint. The knife is designed to be legal-carry in most countries, including the UK obviously, combining a non-locking blade with a length under 3″. The finger guard and back spring of the slipjoint mechanism reduce the chance of accidental closure when you are holding the knife.